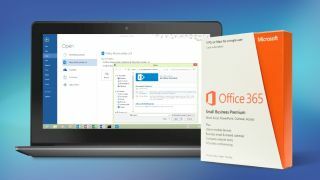 Microsoft has highlighted some interesting new goodies which are about to arrive for Office 365, adding new strings to the respective bows of Word, PowerPoint and Outlook. The biggest innovations are coming to the word processing app, which will benefit from two new features: Editor and Researcher. Editor is a built-in assistant which will provide intelligent suggestions in terms of proofing and editing as you write a document. So for example, it will flag up a clunky sentence and offer a suggestion on how to streamline the wording. The system is powered by machine learning, but also has input from the human side, as a team of Microsoft linguists are also working on the feature. Editor will continue to make more honed and useful suggestions as time goes on, or that's certainly the idea. Redmond notes that Editor will use a gold dotted line to underline sentences which need attention in terms of writing style, along with the traditional red and blue underlining for spelling and grammar issues respectively. Researcher is another assistant which helps those writing a paper to easily find reliable sources to cite – it flags up material related to what you're writing about, and allows for a correctly formatted citation to be added with just one click. The system is powered by Bing Knowledge Graph and draws material from the web at large. Microsoft also announced that Focused Inbox, a feature which has previously only been available to mobile users, is rolling out to Outlook on Windows and the Mac (and the web version too). Essentially, this splits your inbox into two, with a Focused tab which contains the emails Outlook believes are most important to you, and the others are stashed away, appropriately enough, in an Other tab. Again, the system is designed to learn from the emails you move into the important section, and improve over time. A second change to Outlook for Office 365 (Windows and Mac again) is the introduction of @mentions, which allows users to easily flag people in their emails – just by typing '@' and selecting them. You can also use Outlook to quickly filter all the emails where you've been '@' mentioned. Office Insiders can use @mentions in Outlook right now. Finally, PowerPoint has seen the introduction of Zoom, a feature which lets users easily create fully interactive and non-linear presentations. Essentially, you get a summary slide as a starting point, and you can then present the following slides in any order you wish, adapting the presentation to the audience in question. Again, this one is already available to Office Insiders (those testing preview builds of Microsoft's productivity apps).